HAWT TALK WITH TOSAN: Only in Nigeria! 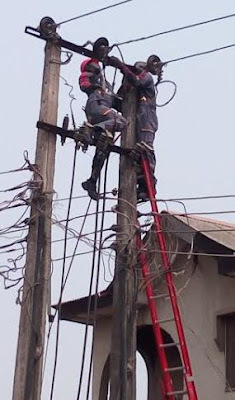 Will not one but two PHCN staff get electrocuted on the same day. One while trying to help a colleague who was electrocuted while trying to fix a defect. Who will the families sue now? No one? Who will compensate them? No one. This is just so sad.